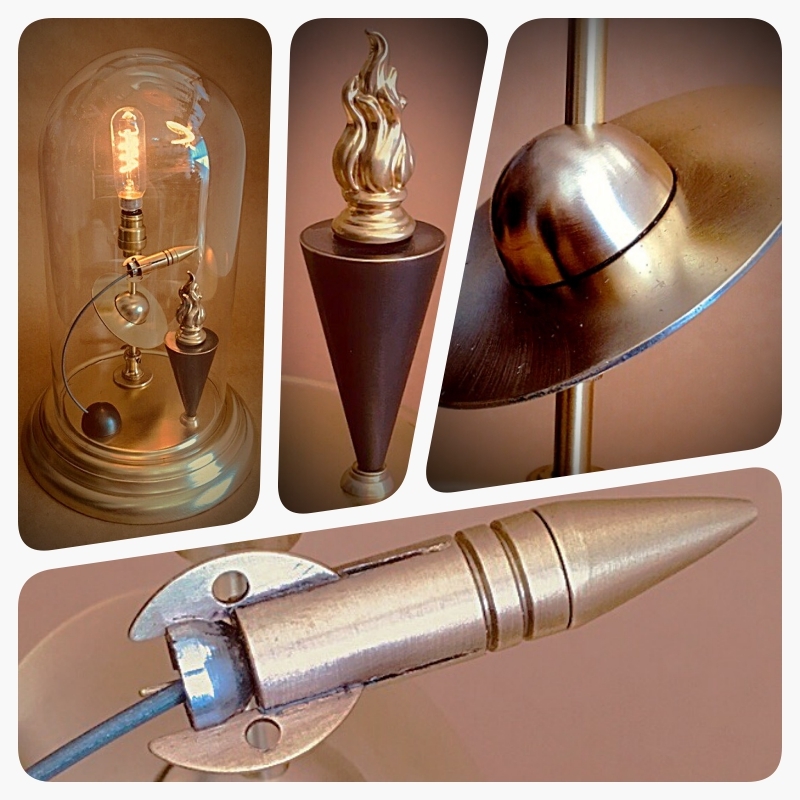 Recent creations made at The Lamp Repair Shop. 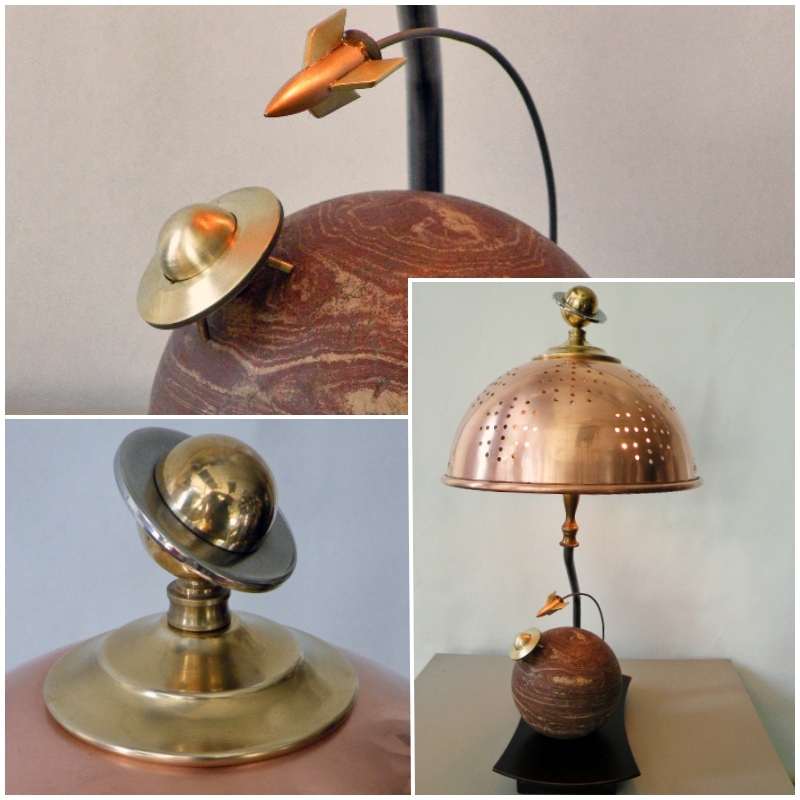 I put more than thirty years of lamp repair experience into every custom lamp I make in my studio. This history of over 42, 000 repairs has given me a keen sense of appreciation for details that truly set my lamps apart from many others. 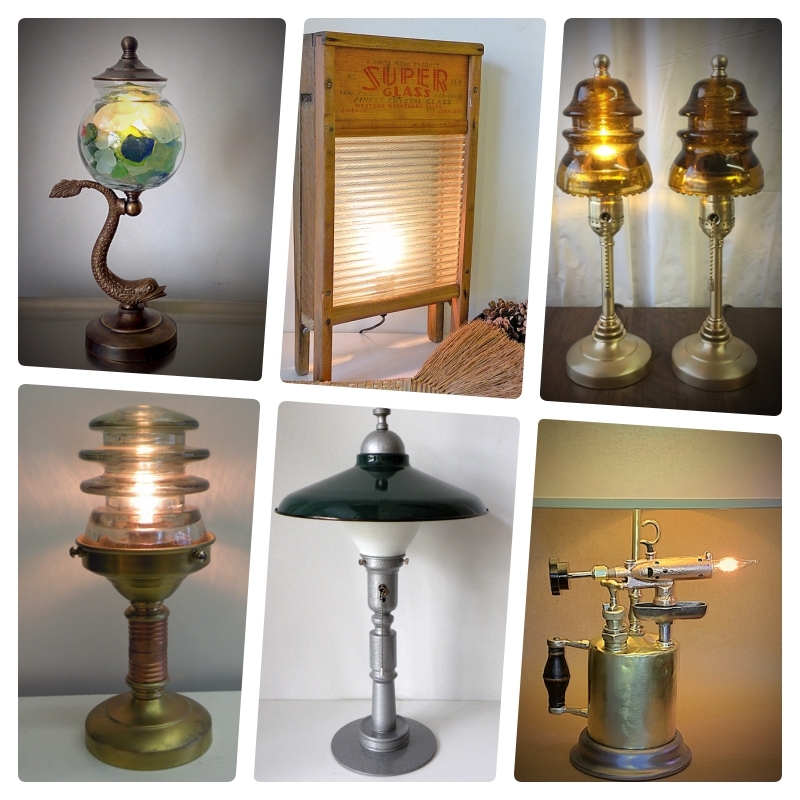 The following are just a few of the hundreds of custom lamps I have made over the years. 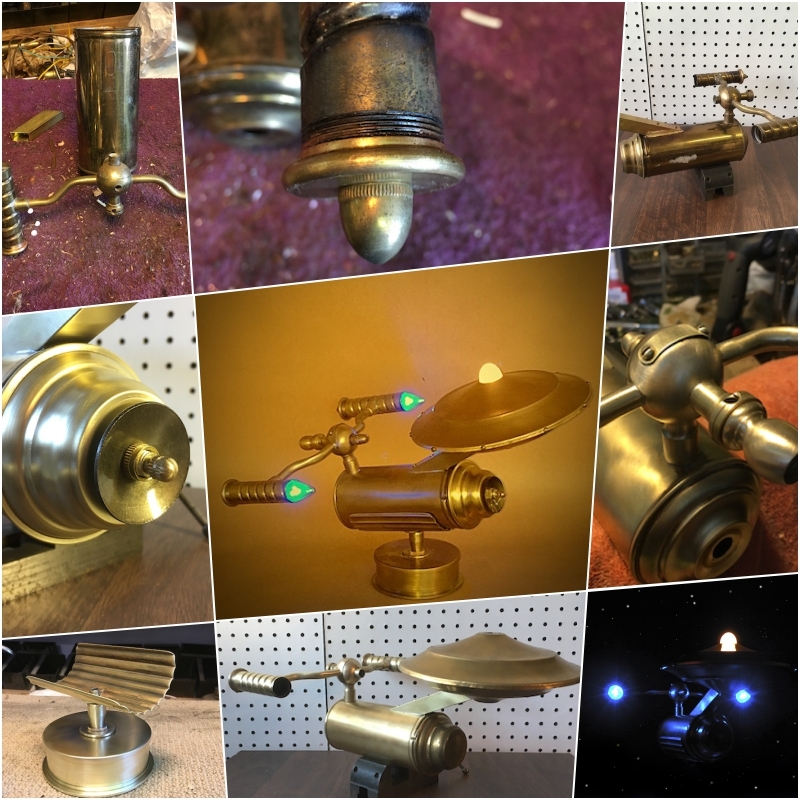 The challenge was to create a light that celebrated Gene Roddenberry's Star Trek and the USS Enterprise, using all salvaged and repurposed materials. Starting with a part to an old student oil lamp, the pieces just came together over a period of weeks to ultimately create this solid brass accent light. I believe I have boldly gone where no lamp maker has gone before. Starting with a vintage candle-pin bowling ball, which hung around the studio for years, I created this planetarium lamp deeply inspired by Antoine de Saint-Exupéry's Le Petit Prince(The Little Prince). It was the cover of the book depicting the Prince standing tall on a tiny planet that inspired the flying saucer on my little planet. The copper collander sprays dots of light on the ceiling and walls like stars in the sky. Of course the Saturn finial and orbiting rocket complete the whole ensemble. In 2019 I came up with an idea for a World's Fair light based on some old advertisements for a World's Fair themed on "The World of Tomorrow". As I wanted the whole thing under glass, laboratory style, a discarded aniversary clock proved to be the perfect base to beging with. Over several weeks I gathered bits and pieces of salvaged brass, copper, bronze, and nickel to create this magnificent accent light. The socket is a 100 year old, turned brass candelabra based socket. This lamp is 100% recycled materials! Having been raised in an old farmhouse and spending a lot of time in old, dusty barns, I have a soft spot for rough-hewn lumber and early electric components. 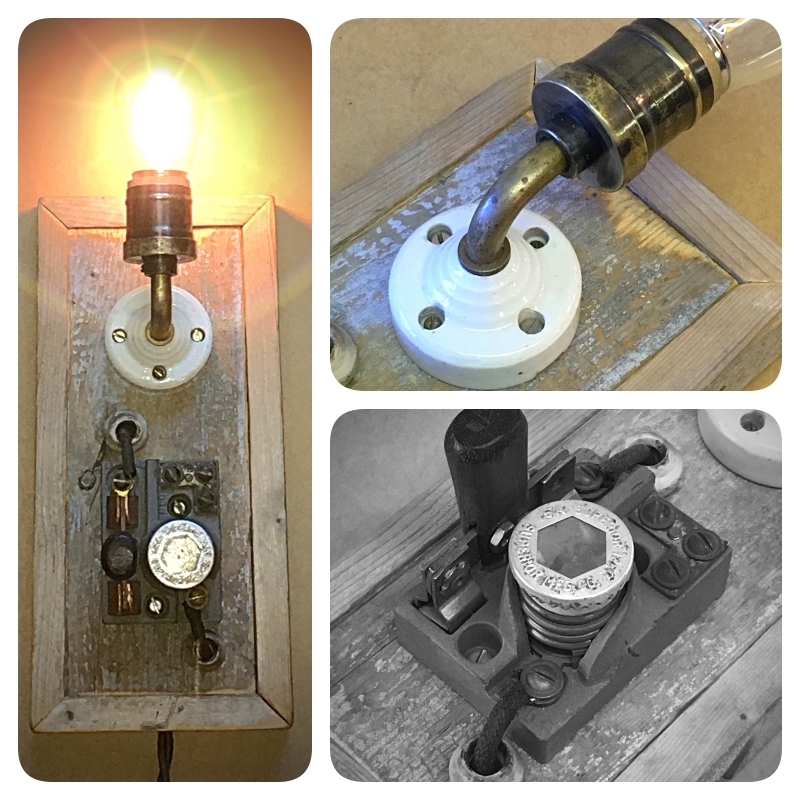 When enough parts present themselves, I create one-of-a-kind lights with a deep, rustic personality. The knob-and-tube era was an incredibly creative period in early electric history. The incredible P&S ceiling light used for this creation had so many coats of paint and looked so bad someone simply threw it away. Fortunately I was nearby to retrieve it. In less than an hour it looked as shown. 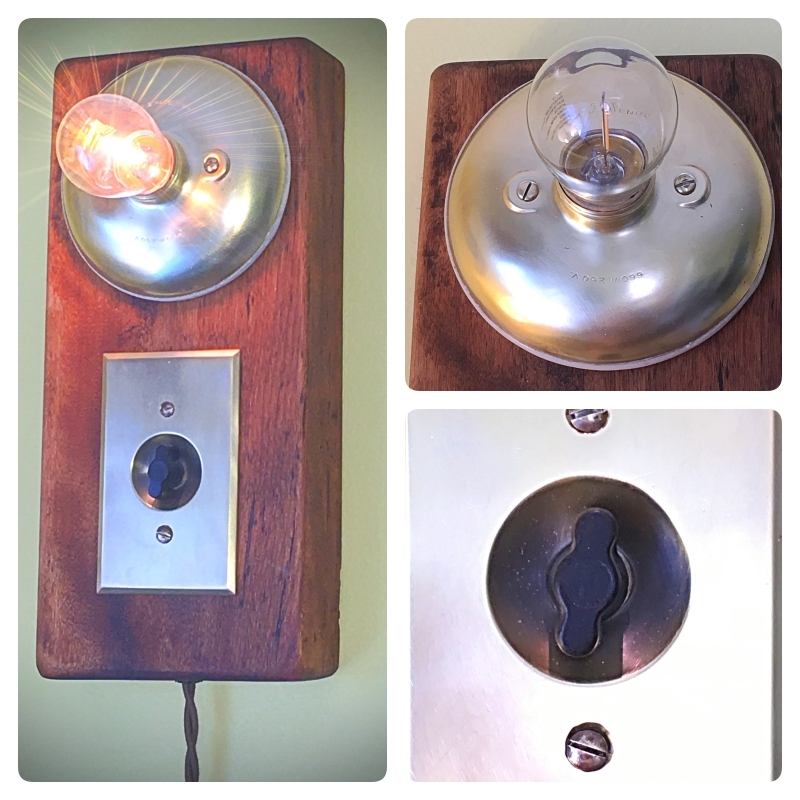 I also had a very cool rotary wall switch on hand, and together with a piece of wood from a defunct wool spinner this wall sconce came to be. Various one-of-a-kind lamps made from found materials(except, of course, for the pair of insulator night lights custom made for a client).